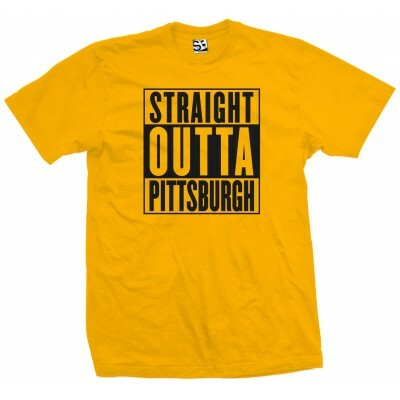 Represent your hood and with the Straight Outta Pittsburgh T-Shirt. Match colors with your favorite local sports teams. 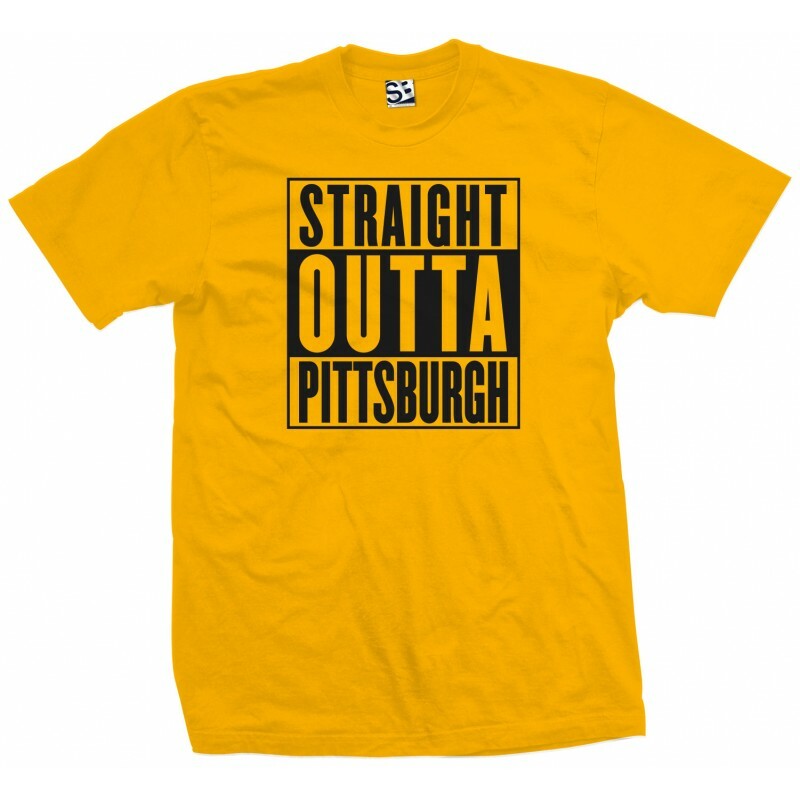 If you're looking to create your own Custom Straight Outta Tee, with your own city or town, check out our Custom Straight Outta Shirt.